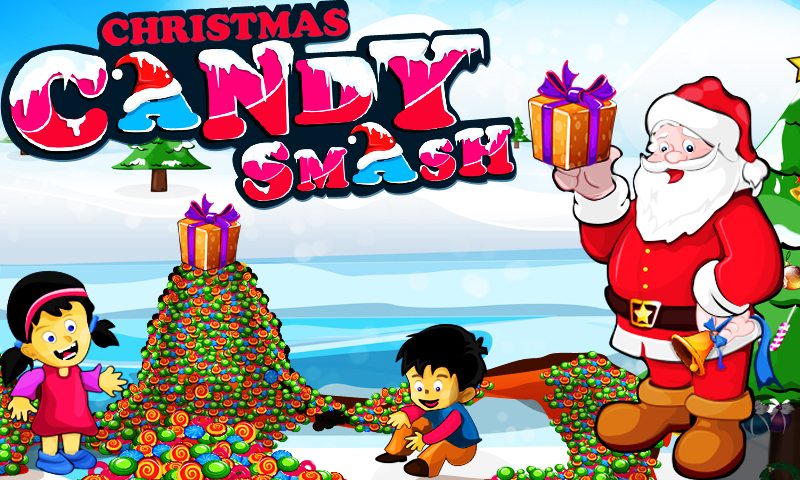 Santa as always has a surprise in store, but this time the surprises are accompanied by candies. 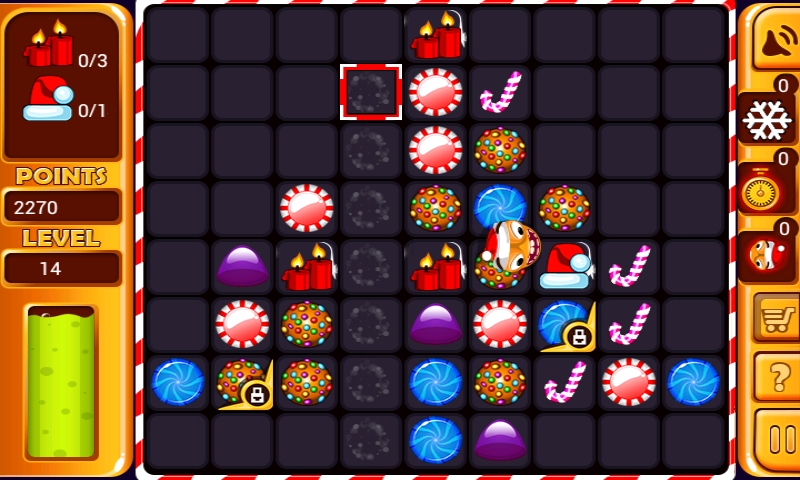 Gifts are kept among candies which will be given once you match them right. 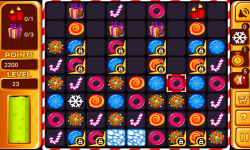 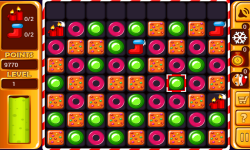 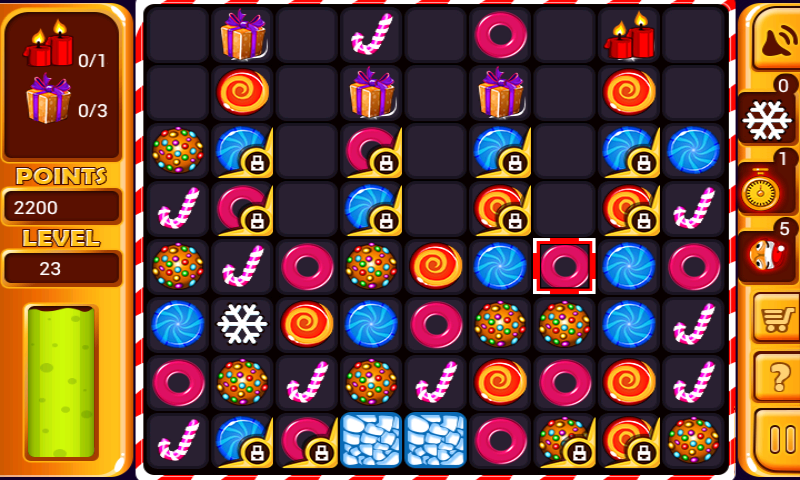 In order to get the gift you would have to enjoy matching the candies either in a row or column and make way for the gift to reach the last row. 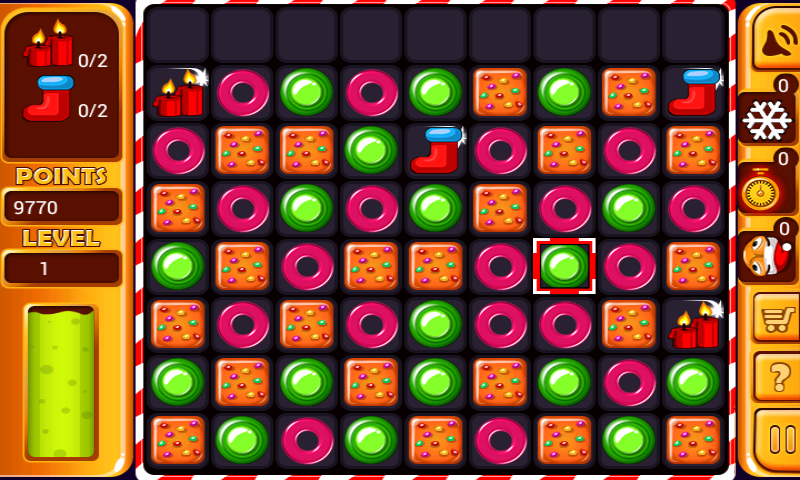 He has also sent his special helper, Jojo, to help you get the candies in one straight row or column. 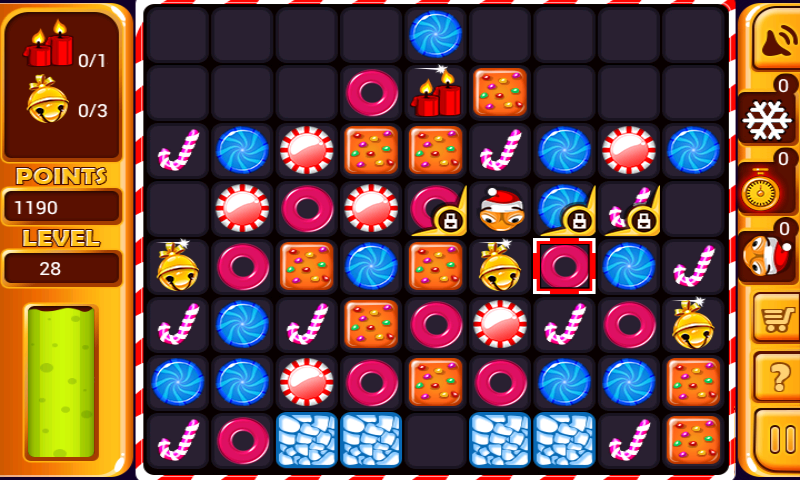 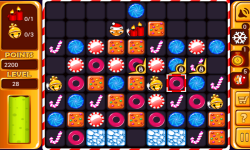 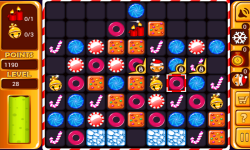 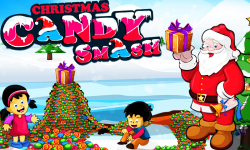 At times, when it’s only a section of candies that you need to smash, you can use the snow smasher. But all this won’t come easy as you would have to work your way towards it and collect the power ups or points in order to purchase the same. 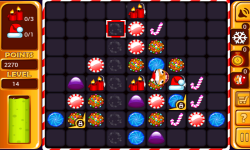 Get started, there are too many surprises waiting.